While not everybody agrees, it really feels like the Midgard Wiki way of generating documentation is working. The idea was to make the documentation more consistent, and to lower the barrier of submitting new content. The feedback we’ve got about using Markdown as the wiki authoring format with some extended linking syntax has been very positive. Besides the main wiki, Aegir 2 development notes are now also using the same model. I was initially very skeptical about wikis, but Wikipedia really opened my eyes to the opportunities of the model. It is far more important to have easily updated and cross-linked documentation available than to fret about semantics or different publishing formats. Before wikis we went the route of DocBook SGML - DocBook XML - XHTML, and none of the formats really met our requirements. DocBook produced very controlled documentation, but since contributing content for it was difficult most developers simply didn’t document their changes. 21 July 2005. 1 minute read. 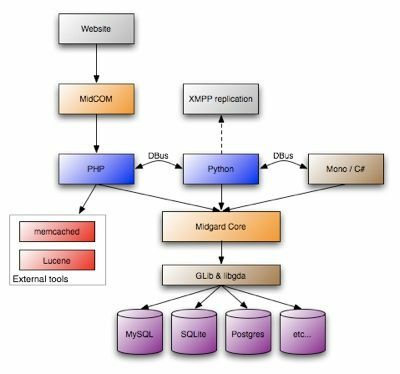 The documentation on the Midgard Content Management System is now moving to wiki format. This will make it much easier for people to contribute documentation into the Midgard site instead of posting it in their own blogs or documentation and tutorial sites. 02 June 2008. 1 minute read.